Speakers are kind of an anomaly for me. 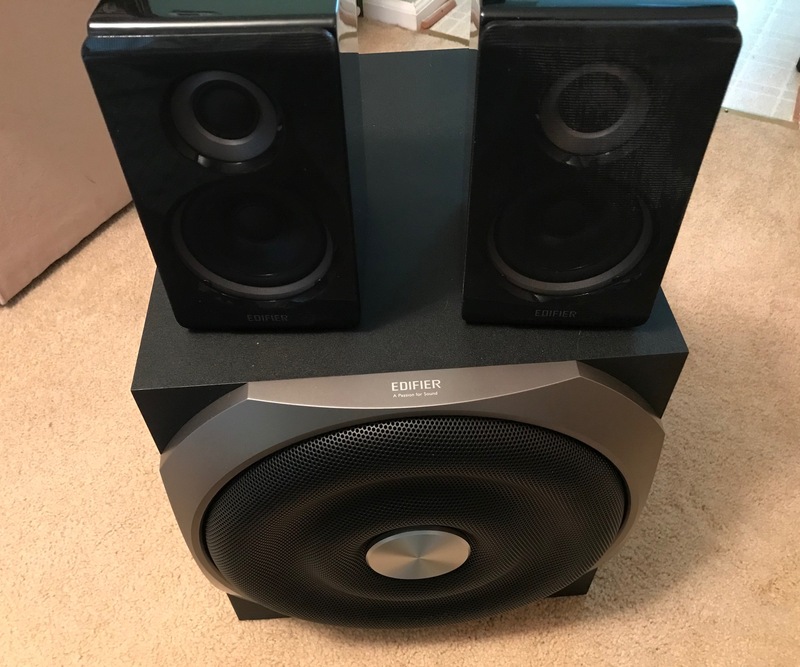 I'm pretty well-versed in headphones, both in terms of decadence and thriftiness, but the world of speakers, specifically anything above the 2.1 realm, requires a different level of expertise. 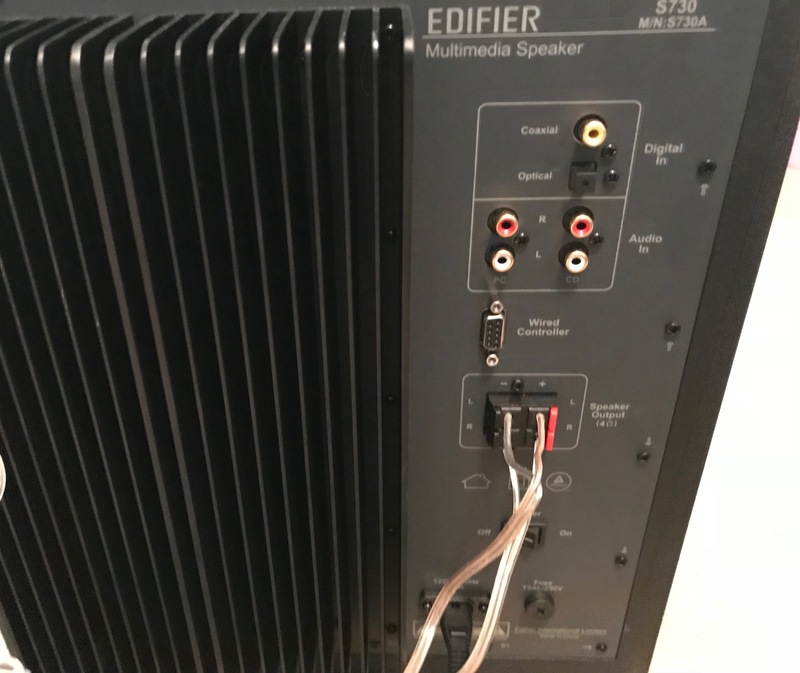 Luckily I grew up creating CAT-5 cables, which is a heck of a lot harder than splicing audio wires into the back of a receiver, so setting up the Edifier S730 2.1 speaker system wasn't a hassle. It's also a nice piece of hardware. When the hulking monstrosity of a box came to my house, I was kind of scared. This baby was heavy? How heavy, well according to my heavy-duty mailing scale, roughly 65 pounds out of the packaging. It's something you might need help lugging around, but thankfully there aren't too many bits and pieces to worry about. Most of it is the subwoofer. When it was all said and done though this thing doesn't take up a whole lot of room, at least compared to some other systems. 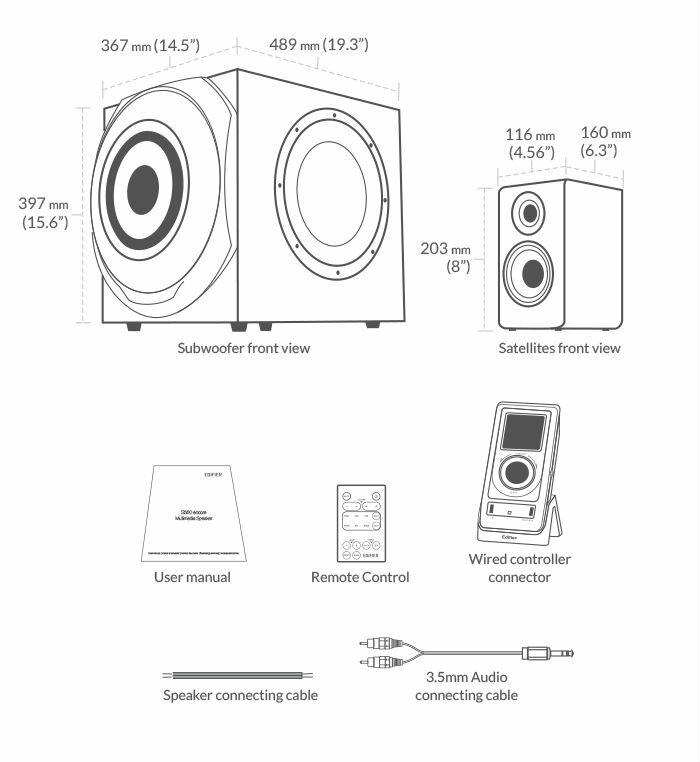 Along with the 2.1 system (read: two eight inch high speakers and one 15 and a half inch high subwoofer) you'll get a remote control, a wired docked controller (mostly for use on your PC desk), speaker connector cables (seen below), and a 3.5mm audio cable. Setup took around five minutes tops with some help from the wire-wizard wife, and my PC instantly picked it up. Thankfully this system can be used with myriad setups, as it offers coaxial and optical inputs, as well as standard audio in. Both remotes are actually useful, as they have options for balance, treble, bass, and even a dimmer for the LCD effect. Having tried it out on both my PC and my home entertainment system (which is hooked up to an Xbox One X, PS4 Pro, and a Nintendo Switch), I'm impressed. God of War in particular, with its heavy emphasis on sound direction and its beautiful score, sounded great Even on the low-end the S730 performs great, as you don't need to jack up the volume to get a good sound. I ended up moving it back to my PC though as the wired remote setup is perfect for quick volume tweaking, and the LCD display looks clean on my desk. My only major gripe with the S730 2.1 is that it's tough to easily turn the bass down if needed, and folks who live in places where your neighbors are on the other side of the wall might have some trouble. By that token the bass isn't so overpowering that it feels like it's going to blow out the speaker, maintaining a good sense of balance. It also doesn't come with speaker mounts, lending even further credence to the idea of using it on an already fully functioning desk (a really big desk, mind, just measure it out first). 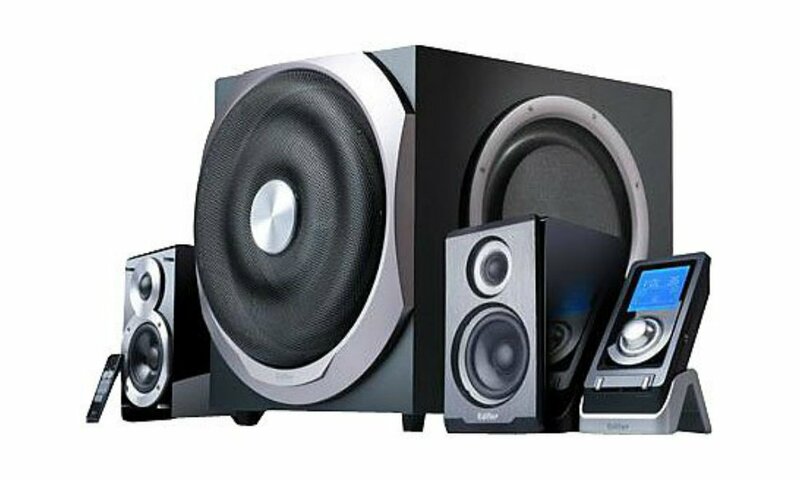 It's expensive, but the Edifier S730 2.1 speaker system delivers with a booming sound that lends itself well to gaming. I've messed with plenty of sub $100 2.1 systems but they mostly fizzle out after a year or aren't nearly as impressive when it comes to the subwoofer's prowess, so I'm pretty happy with this system. As always, it's up to you to decide on picking up something at such a premium, so check out plenty of similar speaker reviews before you make your choice!